Cablcon’s copper cable assemblies support RF, transportation, industrial and high speed data applications, utilizing a variety of cable types to meet your requirements. All of our cable assemblies are domestically manufactured at one of our ISO 9001 & TL 9000 certified locations. Select assemblies are available with reduced lead times, as part of our Cablcon Quick Ship program. Look for the Quick Ship logo, which designates items that are part of the program. All cable assemblies are individually sweep tested to your electrical specifications for Frequency, Insertion Loss Requirement and VSWR Return Loss Requirement. 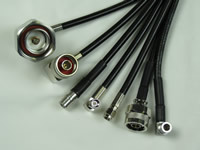 Jumpers or single ended assemblies can also be ordered, with an additional connector included loose for field installation. 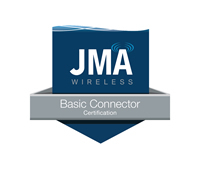 Cablcon is an ISO 9001 & TL 9000 certified manufacturer of ½” and ¼” RF jumpers with JMA Wireless brand connectors, tested to your specifications. Attention to Passive Intermodulation (PIM) is important as wireless users are demanding more data at higher speeds. Because PIM affects network speed and performance, high quality PIM tested assemblies are imperative. Cablcon manufactures custom lengths in a quick-turn environment, and tests every assembly to meet your requirements. They are available with the JMA Wireless Weather Protection System (WPS), and are 100% waterproof & temperature tested as defined by IP66-68 & Mil-Std-202. 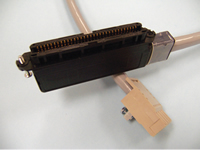 Single ended assemblies can also be ordered, with an additional connector included loose for field installation. Cablcon also offers JMA Wireless laser welded jumpers. 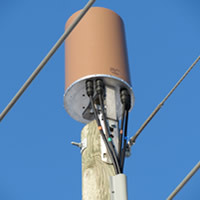 Click here to request price sheets for RF jumpers manufactured with JMA Wireless brand connectors. Cablcon supports the distribution of both RF cable and connectors for field termination. When an installation doesn’t permit the use of factory tested, single or double ended preformed jumpers, Cablcon has the necessary materials to help you complete your project on time. 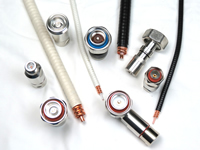 RRH & AIR kit installation items are available in a variety of combinations based on your market requirements. Solutions are designed to support from the hybrid composite cable to the overvoltage protection device (OVP) distribution. Having a kit can address uniformity of install and greatly speed up installations/roll-outs. Kits may include RayCap rack mount and wall mount OVP devices, Cablcon fiber management panels, fiber optic assemblies, alarm cable, FlexTel DC power cable, and other miscellaneous hardware such as lugs and brackets. Kits can be customized to meet your requirements. Cablcon Small Cell RRH Kits include products and services that meet your needs and support a variety of technologies, including 40W, 60W, 700 MHz, PCS, and AWS. Cablcon can install ground kits on RF ½” jumpers, color band RF jumpers, and create custom labels or packaging. Configuring your own kit can facilitate the installation process, improve the speed of installation and enhance your bottom line. Items available include single and double brackets for pole and wall mounting, PIM & VSWR rated ½” jumpers, power modules and TE FullAXS fiber assemblies. Remote Electrical Tilt (RET) antenna systems are designed to enable wireless providers to make adjustments remotely to their antenna systems, easily adapting to changing conditions for optimal network performance. 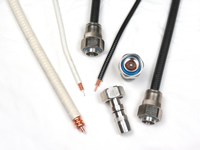 Cablcon’s RET/AISG compatible control cable assemblies are available in custom lengths and meet the specifications for the control interface for these types of systems, created by the Antenna Interface Standards Group (AISG). Cablcon RET cables are rated to IP 68 and are extreme temperature and vibration resistant. The Cablcon multi-leg preformed Category 5e (C5e) EBH solution allows for direct connection from your EVDO or BTS equipment to the router, and comes in a variety of configurations. Each configuration is designed to fit your cabling requirements while enhancing the fit & finish of your installation. Made with Cat 5e shielded (STP) or unshielded (UTP), the single 25 pair Cat 5e cable reduces space in the rack, cuts down on installation time and reduces the need for inner duct. 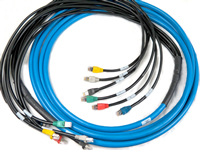 Cable assemblies are available in a variety of configurations, depending on equipment requirements. Cablcon’s Category 5 and 5E assemblies are specially designed for high-speed data applications. The 525 Power Sum 25-pair connector is fully backwards compatible with the standard telco connector, in both pinout and physical connectivity. 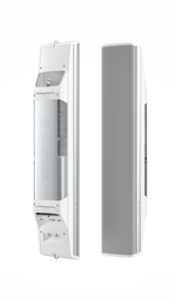 The 525 connector exceeds Category 5 Power Sum Near End Crosstalk (PSNEXT) requirements by an average factor of 6dB, with a noise level that is less than half the maximum allowed. It also meets ANSI/EIA/TIA/568A Category 5 requirements and FCC Part 68 pinout requirements. Side-by-side termination of conductors assures that twists are maintained up to .5” to the termination point. Cablcon is pleased to manufacture and offer cable assemblies that support the ADTRAN MX2820 High Density M13 Multiplexer. All assemblies are manufactured in one of our fully automated ISO & TL 9000 certified facilities on a quick-turn basis, are 100% tested throughout the manufacturing process, and may be custom ordered in any length required. 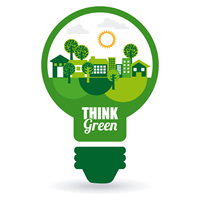 In an effort to better support the industry and be more environmentally responsible, Cablcon provides assembly test results online, rather than send paper printouts in all assembly shipments. Electronic test results are available online at http://rf.cablcon.com/client for each order, and are archived at Cablcon for warranty purposes.